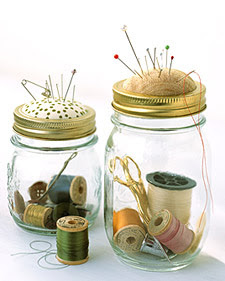 Crafty idea for the better looking Mason Jars in your collection. Last night when I used grey thread instead of blue for fear of delving into the 'sewing trunk', I could have used this. Thanks for giving me my next project!